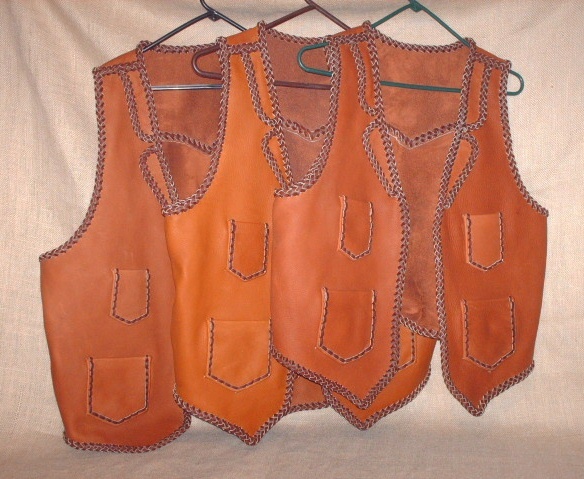 There is no way you can tell much about leather from a picture. 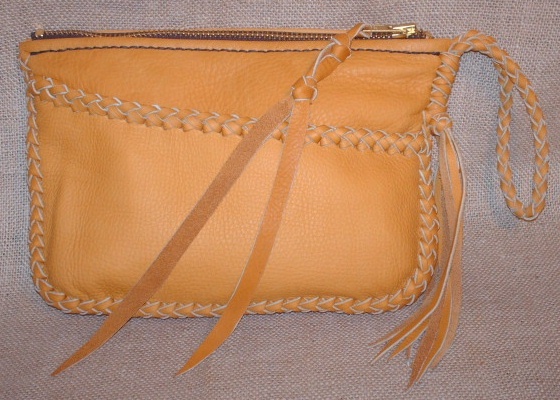 Even when it is in your hands the color of leather can look different under different conditions - lights, sun, shade etc. Therefore, these colors are approximate. There are also differences with each dye lot/batch. 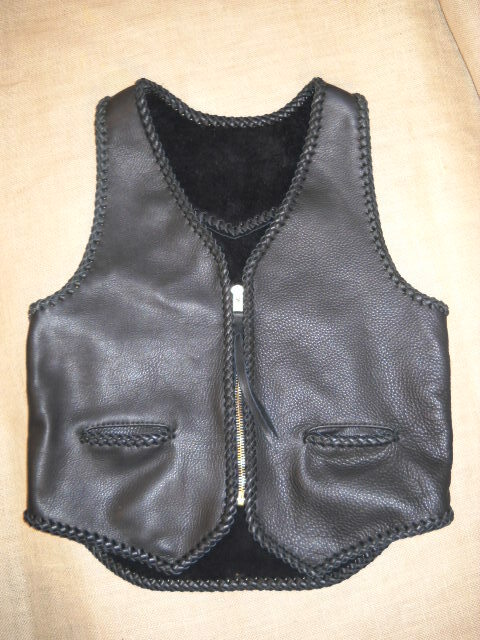 This is very nice, non-toxic, top full-grain leather that is portrayed the best I know how. 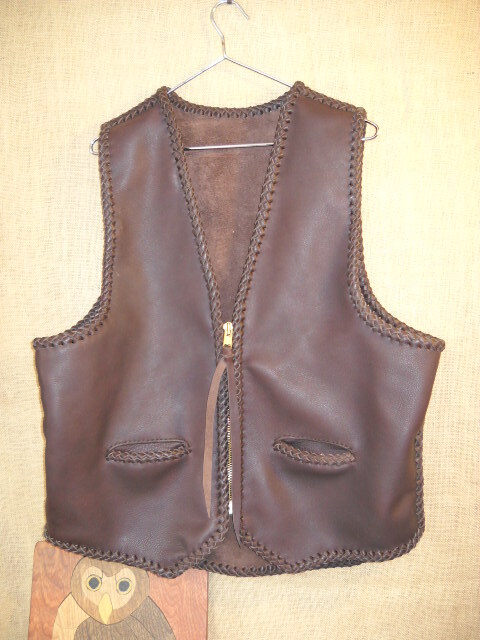 'Full grain leather' is by itself defining - it means that the leather has no finish on it. I have been using this leather since I first started doing leather work in 1972. It is called moccasin cowhide and it's very soft, strong, supple, and long lasting leather that is about 4 ounces in weight/thickness. 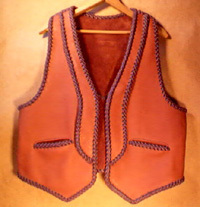 Like its name 'moccasin cowhide' implies, it is made for moccasin shoes, but at the place I purchase it from, it is sold mainly for chaps and consequently requires large clean sides. The Brown here is quite dark and can be hard to tell from Black - some people like it for that very reason - I do. Due to the fact that this leather, and the things I make from it, are very long lasting, I suggest to people that they select a darker color because it may look the nicest for the longest. 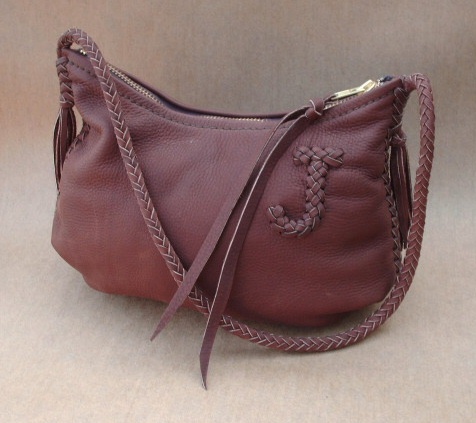 However, this is not strictly the case because many like the look of burnished leather. If you would like, I will send you swatches of any particular color/s that you would like to see. There are other kinds of leather I can and do use. 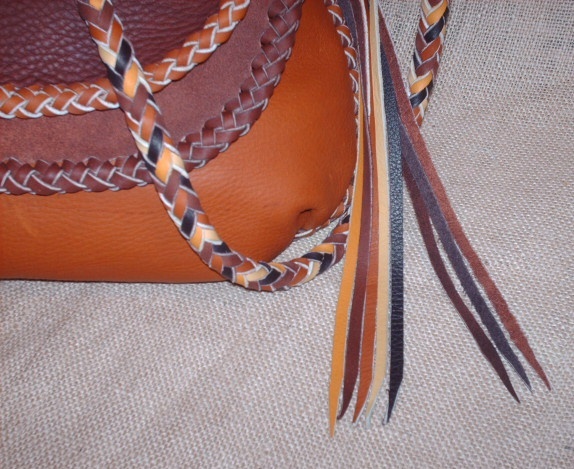 Check out these links to the other braided leather goods that I make and read my guest book, on my home page, to see what others have said about the leathers they have purchased from me. 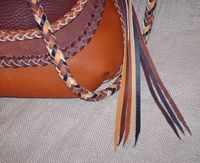 I continue to try to figure out the best way to portray the colors of these leathers. I don't believe there is a 'perfect' way and that is why I offer to mail swatches to folks that are interested in purchasing something. I'm also going to provide links to pictures using that color. This will happen only as I feel I have a better picture of the color. 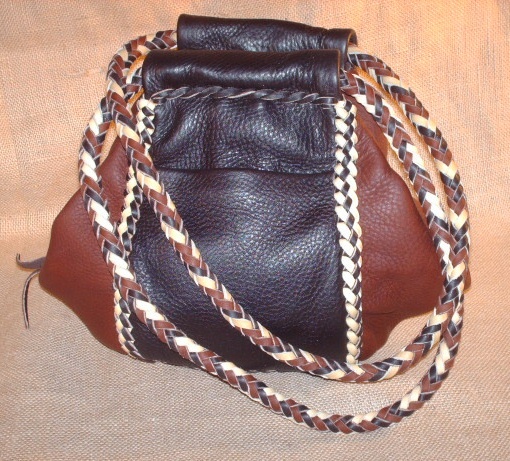 Here is a bag made with Brown, Mahogany, and Walnut leather. This braided leather strap was made using my five most popular colors - from darkest to lightest those colors are Brown, Mahogany, Rust, Chestnut, and another lighter color that I had on hand. These thumbnails are clickable for larger views.